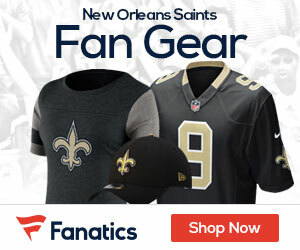 The NFL took aggressive action on July 3 in an attempt to prevent Jonathan Vilma’s defamation lawsuit against Commissioner Roger Goodell from ever seeing the courtroom, Ryan Jones of the New Orleans Times-Picayune reports. The league’s management council filed a grievance against the NFL Players Association, demanding that Vilma withdraw his suit and compensate the NFL for any legal costs incurred defending Goodell. Vilma filed the defamation suit in response to statements the commissioner made about Vilma’s alleged involvement in a New Orleans Saints pay-for-play bounty program. The NFL Management Council argues in the letter that Vilma’s suit is in violation of the league’s collective bargaining agreement, which has a clause preventing players from suing the NFL or any club. The management council says that because Vilma is suing Goodell for actions he performed in enforcement of the CBA — referring to his season-long suspension of Vilma — Goodell’s conduct is protected by the “no-suit” provision. “Clearly, League Discipline, and the Commissioner’s responsibility for upholding that Policy, is ‘conduct permitted by the CBA’ and under the NFL’s Constitution and Bylaws. Because all challenged communication occurred in furtherance of the Commissioner’s responsibility, such conduct falls squarely within the protections of Article 3’s no-suit provision,” the letter says.